Though powerful, it runs cool and quiet all the time -- cooler and quieter than any other Mac Pro or MacBook Pro. Anyone with a Mac Pro tower with its 9 fans knows how noisy it can get when it is stressed to the max -- especially if you have a high-end GPU installed. And certain PCIe boards with their own tiny, over-achieving fans can be very annoying. The 'late 2016' MacBook Pro's fans are audible when stressed. They quickly accelerate from 2000 RPM to 6000 RPM. The 2013 Mac Pro uses one a large, low frequency, 15 dBA fan which loafs along at 790RPM, pulling air up from the bottom vents across the large extruded aluminum thermal core (aka heatsink), and out the top opening. A literal Mac chimney. I recently compared the CPU power of the 2010 Mac Pro 12-Core 3.3GHz to the 2013 Mac Pro 8-Core 3.0GHz. Using Geekbench 4 CPU test, the 'Turbo Tube' scored 21285 for multi-core while the 'Tower of Power' with 4 more cores only managed 20458. One of my favorite stunts was bridging the THREE Thunderbolt 2 buses with three LaCie TB2 Little Big Disks to achieve 3740 MB/s. How many Macs (or Windows PCs) do you know that have THREE Thunderbolt buses? When I connected dual Thunderbolt 2 ports to the Dell UP2715K 5K display (using its included dual mini DisplayPort to dual DisplayPort cable), it just worked -- at 5K. No special drivers or nvram parameters required. If you ordered your 2013 Mac Pro with a measly 12GB, it's nice to know you can expand to as high as 128GB with the help of third party kits (see TransIntl and MacSales). And don't forget that the memory is ECC. You don't get that with any other Mac except the legacy Mac Pro towers. The original XP941 based flash storage for the 'late 2013' Mac Pro topped out at 1200MB/s. By replacing it with an SM951 based 1TB module from a late model MacBook Pro, the large sequential transfer rate rises to 1500MB/s. TransIntl offers that same performance and compatibility with the SuperBlade (up to 1TB capacity). Though not as fast, OWC's Aura SSD for the Mac Pro can deliver up to 4TB internal capacity. Pro apps like DaVinci Resolve, Blender, and Final Cut Pro X benefit from the pair of AMD FirePro GPUs. Plus, if you run Windows (Boot Camp), CrossFire enabled applications benefit from the dual FirePros. When we benchmarked Batman: Arkham City, invoking CrossFire increased the framerate from 116 FPS to 182 FPS! With four USB3 ports, six TB2 ports on three separate channels, dual Gigabit Ethernet ports, and one HDMI, there is no need for dongles or adapters. As good as it is, the Mac Pro "TURBO TUBE" could be even better. We have already experienced the potential when we touched 2600MB/s on a single Thunderbolt 3 port of the 'late 2016' MacBook Pro. And if, like the 'late 2013' Mac Pro, there are six Thunderbolt 3 ports on three separate buses, it opens up an exciting range of possibilities for fast storage and multiple 5K wide color gamut displays. Choice between AMD and NVIDIA GPUs. As much as I like the 2013 Mac Pro, I must admit that I was frustrated by the inability to upgrade the dual internal AMD GPUs -- proprietary to the nth degree. Also frustrated that CrossFire still only works under Windows. Grrr. And there is no Apple factory option for NVIDIA GPUs if you needed CUDA capability. I hope the NeXT Mac Pro will have a factory option for both AMD and NVIDIA GPUs. Dual NVIDIA GeForce GTX 1080 GPUs would be nice. That way you would have support for both OpenCL and CUDA capable apps. AMD and NVIDIA keep pumping out faster and faster GPUs each year. Wouldn't it be nice if there was a way to UPGRADE the dual GPUs when a newer, faster option was available -- WITHOUT buying a new Mac Pro? Though the 2013 Mac Pro did not offer an option for CUDA capable GPUs, a workaround was to add a third external GPU. For example, we added a GeForce GTX 980 Ti by installing it in the BizonBOX 2 GPU Expander and connecting it to a Thunderbolt 2 port. Besides, two GPUs are not always enough. Users of Blender and Octane Render know what I mean. With Thunderbolt 3, Apple could provide native support of external graphics processing units (or "eGPUs"). Those pro users who need it could add a third and fourth external GPU. There are several companies either developing or shipping Thunderbolt 3 GPU expanders including Bizon Tech, AKiTiO, ASUS, and Razer. As an owner of the 2013 Mac Pro, I'm a bit jealous of the 'late 2015' iMac 5K's 2000MB/s flash storage. Ditto for the 'late 2016' MacBook Pro's 2900+ MB/s flash storage. Wouldn't it be nice if the NeXT Mac Pro had an option of a 2TB 960 Pro based flash blade running at 3500MB/s? Even better would be an option for a striped pair of 960 Pro based flash blades going 7000MB/s! WHAT FEATURES DO YOU WANT TO SEE IN THE NeXT MAC PRO? Some say Apple has lost its motivation to continue development of the Mac Pro. Some have expressed the horrible thought that the Mac Pro is dead -- gone the way of the XServe. Maybe it would help if they hear from us Speed Freaks -- correction -- we "professionals with demanding requirements." What are the features you want to see in the NeXT Mac Pro? CLICK HERE to take our Mac Pro survey. Convection cooling for the Mac is not new. The original 1984 Mac used fanless, passive, convection cooling. It was not always effective. 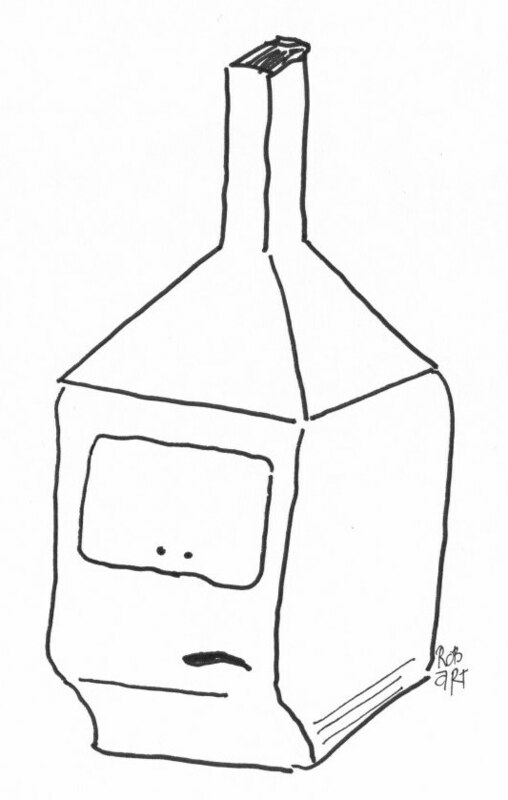 A cardboard Mac Chimney was created by a third party to increase the effectiveness of the passive convection cooling. However, it also inspired cartoons like this one with the caption, "My owner went to MacWorld and all he brought me back was this stupid hat." Apple revisited convection cooling again in July 2000. 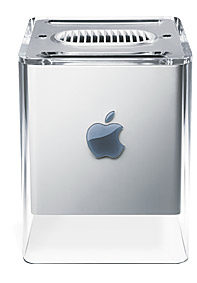 Remember the Power Mac G4 Cube? "A Professional Task That No Other Computer Does Better"
"A World Without The Mac Pro"
Apple sells certified refurbished Macs and iPads with one year warranty.